I didn't write any of those down. I only wrote down how Callie got murdered and replaced by her evil counterpart. Also, I made up a district attorney named Timothy Miles would hates the SWAT Kats and Feral for letting them handle an Enforcers' job. 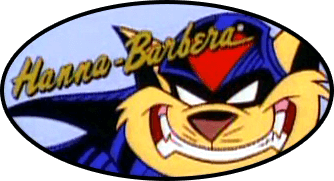 I even made up an Enforcer named James Dukey who distrusts the SWAT Kats after what happened in "Night of The Dark Kat" and when they were framed in "Razor's Edge". If he does, then he won't fit. 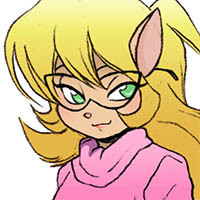 SwatKatsFan1 wrote: Also, I made up a district attorney named Timothy Miles would hates the SWAT Kats and Feral for letting them handle an Enforcers' job. Heh, I named Megakat City's district attorney Mills, but never gave him a first name. He's mostly just kind of a milquetoast who isn't terribly good at his job. He doesn't hate the SWAT Kats, exactly, but still wants to see them put behind bars, and generally gets along okay with Feral (although Feral doesn't like him very much). I thought about that. I wrote the plot summary of a fanfic where Feral is secretly an ally to the Megakat City Yakuza led by Charlie Tan just like Lance was working with Damian Dark in Arrow. Feral has to work with the SWAT Kats to bring down Tan and the Yakuza since he can't trust anybody from within the Enforcers to stop Tan and since Tan threatened to have his men in the Enforcers hurt Felina. I got another idea to write a fanfic series about Feral. T-Bone and Razor decide to give up being the SWAT Kats after they fail to stop Mayor Manx and get insulted by their closest ally Callie Briggs (this version of Callie is an imposter who got killed by her evil counterpart who wanted revenge on the good SWAT Kats for ruining her life). Feral gets sponsored by a business kat named Ted Jordan and Jordan gives him a mech suit that his company designed to fight crime. Feral becomes a superhero known as Scowl and tries to prove that the law is effective in MegaKat City while nobody else knows his identity. Feral eventually convinces Chance and Jake to become the SWAT Kats again when there is a situation that he can't handle. What do you think, should I make a series about Feral? I'm gonna laugh so hard if Feral join The Swat Kats. He keep saying all those negative stuff about them you know they say " If you can't beat them join them"